A coffee-flavoured pudding with a cinnamon-spiked topping - this no-bake dessert takes only 10 minutes of prep! Whisk cinnamon into Cool Whip; spoon over pudding. Once thawed, store Cool Whip Light Whipped Topping in refrigerator for up to 2 weeks or re-freeze. 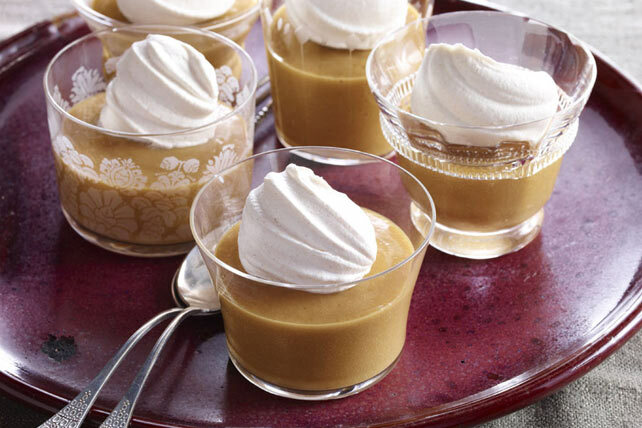 You'll think you're sipping a creamy rich cappuccino when you taste this luscious dessert. And as a bonus, it can be part of a healthful eating plan.